19:43-19:44 small stripes Maybe A6.4Microflare@19:43 AR2501 1943.gif No File:1943.png Few stripes at lower frequency below 1.5GHz, maybe a microflare. Radio flux increase corresponding the west source. 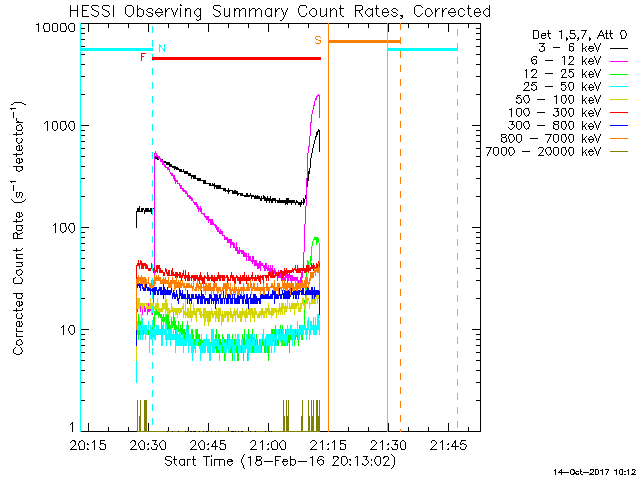 21:09-21:12 Pulsations C1.8@21:08 Ar2501 2110.gif Yes File:2110.png Quasi-periodic pulsations in impulsive phase. Highest RHESSI response @ 25keV. Radio source located near a footpoint. This page was last modified on 15 November 2018, at 08:35.